You asked… & we listened! HAND members, thank you for the feedback you provided through our member meeting and training survey. HAND’s program committee heard your requests, and we’re excited to launch another year of quality sessions designed to build the capacity of your organizations and staff. Please note, detailed descriptions and registration information will be updated on this page as course curriculum is finalized. This ensures that each session will include timely topics and expert presenters. 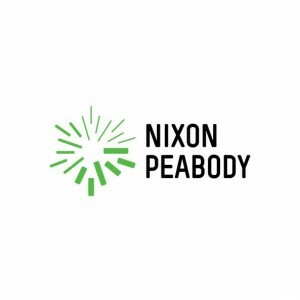 Join HAND for a training facilitated by Nixon Peabody, “Affordable Housing Opportunities at the Federal Level.” This training will be comprised of four panels. Panel topics will include: (1) a Federal regulatory and legislative update on the U.S. Department of Housing and Urban Development, (2) how to leverage RAD by building Public Housing Authority-Developer partnerships to nerow and preserve affordable housing in 2016 and beyond as well as opportunities in Component 2 conversions, (3) new opportunities in the MAP Guide as well as trouble shooting on current deals, (4) and the Inclusive Communities decision and the direction Fair Housing initiatives have taken to eliminate artificial barriers to housing opportunities to support the creation of more opportunities for affordable housing development and preservation. 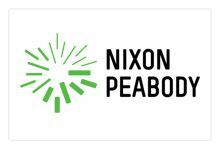 Speakers will include Nixon Peabody affordable housing attorneys as well as officials. We hope you can participate in this informative training. This event is free to current HAND Members; Non-Member Fee: $45. Lunch will be served. Last year, the Housing Association of Nonprofit Developers launched Generation HAND, an emerging leader initiative designed to support the unique needs of practitioners who are on the rise within the affordable housing and community development industries. The goal of this initiative is to provide needed tools and guidance to our developing leaders as they pursue successful careers in the public and private sector. Additionally, the initiative provides a platform for our current industry leaders to offer their ‘lessons learned’ and valuable advice they’ve acquired throughout their career. Generation HAND is back and excited to announce the next dialogue discussion featuring Tom Bozzuto, Chairman of The Bozzuto Group, and Toby Bozzuto, President and CEO of The Bozzuto Group, in an intimate roundtable discussion around developing and growing leadership within companies, with a specific focus on The Bozzuto Group’s recent transition of several long-term employees into executive leadership roles. Tom and Toby will share their experiences leading up to and post transition, including the historical growth of the company and how it brought younger leadership up in the ranks. They will also share their insights on building and sustaining a strong company, growing employees along the way, and how they maintain work-life balance. According to Generation HAND, Emerging leaders in affordable housing and community development represent practitioners on the rise who are shaping the future of their organizations and the industry. This event is free to current HAND Members; Non-Member Fee: $75. Lunch will be served. This event is open to all HAND members and partners; however since space is limited, emerging leaders will be prioritized during the registration process. Join us for HAND’s October Member Meeting featuring a special presentation from Dr. Lisa Sturtevant, President, Lisa Sturtevant & Associates on Local Real Estate Trends and Market Conditions. Dr. Sturtevant’s presentation will detail recent housing market trends in the Washington, D.C. region including: For-sale and rental markets; Economic and demographic factors affecting the demand for housing, generally, and affordable housing, specifically; and Local policies that help meet the demand for affordable housing. HAND and National Housing Trust are excited to partner with Healthy Building Network to bring a Healthy AND Affordable Materials Workshop to Washington, DC. Come connect with national experts and local practitioners to learn about best practices in healthy material selection for affordable housing projects. Today, low-wealth communities are disproportionately exposed to chemical hazards found in many building products that can contribute to health-related issues. We can change this together by leveraging our joint purchasing power, policy work, and community organizing experience. This workshop is designed for developers, operators, architects, contractors, innovators, and industry leaders in the affordable housing sector. Please join us to learn more about key issues and discuss how to take action to create a healthier environment for the people we serve. Thank you to our sponsor Wiencek + Associates! Mix and mingle with colleagues over hors d’oeuvres and cocktails while celebrating the impact HAND members are making to create vibrant, thriving communities across the metropolitan region. 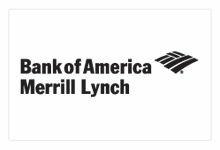 Thank you to our sponsor, Bank of America Merrill Lynch! It has been said, “in business you don’t get what you deserve, you get what you negotiate.” While negotiation is an important skill set for any professional, it is critical for those in the affordable housing space when navigating transactions with developers, agencies, and other organizations. On December 15, 2016, HAND will host a training titled “The Art of Deal Negotiation” featuring Charles Craver, Freda H. Alverson Professor of Law at George Washington University Law School. This three-hour session will cover the impact of negotiator styles, the six stages of the bargaining process, verbal and nonverbal communication, negotiation techniques, cell phone and e-mail interactions, negotiation ethics, and other related issues. In addition, Professor Craver will conduct a negotiation exercise, both to demonstrate various negotiation concepts and how differently individuals evaluate identical negotiation situations. For a complete outline of topics to be discussed, click here. Space is limited, so don’t miss your opportunity to reserve your seat! The session will be $50 for current HAND members and $75 for non-members. Breakfast will be served. ‘Tis the season for giving! As part of its volunteer programming, HAND’s Braintrust Committee will help prepare and serve a nourishing, hot breakfast to hungry guests at SOME’s Dining Rooms for the Homeless. Whether you are an owner, architect, engineer, builder, or owner’s representative, all who work in affordable housing development understand the challenge of developing a quality building product within a constrained budget. The goal of this session is to share perspectives and strategies from local practitioners in affordable housing development to understand how to control costs while also achieving your project goals. This session will also discuss collaboration among team members and how approaching each project with a problem-solving mentality can lead to a better, more cost-effective project overall. This session will include a panel presentation and dialogue with representatives from Hamel Builders, Innova Services Corporation and Wiencek + Associates Architects + Planners. 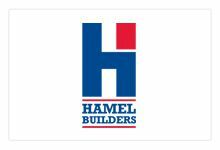 Thank you to our sponsor, Hamel Builders! This event is free for current HAND members and $75 for non-members. You asked and we listened! After receiving feedback from YOU that you’d like more networking opportunities, we’ve put together an event for you to do just that! Join us as we reconnect with HAND members and invite new friends into the fold. We encourage HAND members to bring individuals who are interested in membership with HAND, and there will be a special reward for the member who brings the most potential members along! Please join HAND on January 31, 2017 for its Tax Exempt Bond Financing Training & Post-Election Update! All participants will receive an update and analysis on the latest from Washington D.C., including potential tax reform, program & appropriations updates, and regulatory changes from Peter Lawrence, Director of Public Policy and Government Relations at Novogradac & Company LLP. In addition, you can choose between two tracks of bond financing trainig depending on your experience level, the Introductory Session or the Advanced Structures Session. The Introductory Session will be led by Mike Scheurer, VP at Cornerstones , and is perfect for beginners in affordable housing, those who want to know how the programs work or simply refresh and update their knowledge base concerning these two important financing tools. What tax exempt bonds are, how they are structured, key terms, and major actors and processes will be presented. The Advanced Structures Session is for more “seasoned” practitioners, and will review financial and legal considerations of several innovative bond structures. Speakers in this track include Kent Neumann of Eichner Norris & Neumann, Art Bowen, VHDA’s Managing Director of Rental Housing, Debbie Norris of Hertzbach & Company, P.A., Edmund Delany from Capital One, and Erik T. Hoffman from Klein Hornig. Lunch will be served. 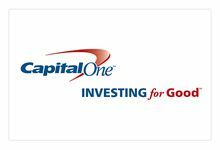 Thank you to our sponsor, Capital One! Are you a housing provider interested in creating dynamic programming targeted to re-entry citizens? Maybe you work with re-entry citizens already and could benefit from the tools necessary to effectively engage returning citizens. If either of these descriptions apply to you, join HAND’s Resident Services Discussion Group on February 7, 2017 from 12-2 PM at CPDC, 8403 Colesville Road, Suite 1150, Silver Spring, MD 20910, for “Best Practices to Supporting Returning Citizens.” The need for programming and services that encourage this vulnerable population to thrive is greater than ever, and we are please to present this intimate conversation with experts Cherie D. Lindsay, MHS, MNPLM, Director of Reentry Programs at Jubilee Housing, an organization dedicated to creating service-enriched affordable housing in Washington, D.C. and Zipporah McCoy, Intake Manager at Arm & Arm, an agency that provides services to re-entry citizens and veterans. You can RSVP here. Lunch will be served. Last year, Enterprise Community Loan Fund and the Washington Regional Association of Grantmakers (WRAG) launched Our Region, Your Investment – an impact investing initiative to bring new capital to our region in support of housing affordability. After only one year, foundations, businesses, nonprofits, and individuals have already invested $11M in this initiative. Every dollar has been deployed to prevent the displacement of more than 280 families and individuals living in the region through the support of projects in Washington, D.C., Maryland, and Virginia. Join us on February 9, 2017 from 9:00 AM – 11:00 AM, at the Washington Regional Association of Grantmakers, 1400 16th Street NW, Suite 740, Washington, DC 20036 for “The Power of Impact Investing” to learn more about impact investing generally, the Our Region, Your Investment initiative specifically, as well as why investors are choosing to support housing affordability in this way. Featured speakers will include James Wahls of the Annie E. Casey Foundation, Rachel Reilly Carroll of the Enterprise Community Loan Fund and Karen FitzGerald of the Meyer Foundation. You can RSVP here. Breakfast will be served. Do you have a best practice you’d like to share? Do you have a particularly challenging issue and look to your peers with similar issues and solutions? Would you be willing to share your successes and challenges with your peers? From best practices to challenges, each member organization has a unique approach to asset management and the properties it owns. Join us on February 15, 2017, from 12:00 – 2:00 PM at National Housing Trust, 1101 30th St NW Suite # 100A, Washington, DC 20007 for a true peer-to-peer session as each member shares a unique best practice, a creative approach to handling a challenging issue (property or organizational), or assistance on how to tackle a current challenge. Isn’t that what peer exchange is truly about? Please be prepared to spend 5-10 minutes to share your experience and collaborate with other members as we endeavor to share and benefit for each other’s prior experiences. Feel free to bring a handout, but we ask that you limit your handouts to 1-2 pages. You can RSVP here. Lunch will be served. 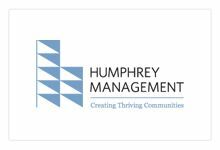 Thank you to our sponsor Humphrey Management! Do you have a budget gap? Is your project in need of some tax credit equity? If the answers to these questions are “yes,” then you want to be sure to pay attention to your State’s Qualified Action Plan (QAP). Please join HAND for an engaging and informative session on how to put forth a competitive QAP application on February 23, 2017 from 10:00 AM – 1:00 PM at the DC Housing Finance Agency (DCHFA), 815 Florida Avenue NW, Washington, DC 20001. As part of this two-panel session, you will hear from senior officials from each jurisdiction’s (DC, MD, VA) allocating agency on recent policy changes and housing priorities in the QAPs. You will also hear from an experienced group of consultants and syndicators whose projects have scored successfully on the QAP. From common pitfalls to avoid, to positioning your project to be competitive, you will walk away with insider tips and tricks to help you in your effort. The panel discussions will also discuss changing needs and policy priorities of state and local jurisdictions, as well as how market conditions, cost constraints, and political considerations play out in the QAP process. Click here to register. Thank you to our sponsor Hertzbach & Company! In 2016, HAND hosted a successful training on “Developing Mixed Income Communities” where we focused on exploring best practices for creating successful mixed-income developments; the challenges and opportunities for creating this change; and lessons learned from these developments to date. Click here to register. Thank you to our sponsor McCormack Baron Salazar! Zoe Weinrobe, Jewish Community Housing for the Elderly, Inc. Lunch will be served. Registration will begin at 9:00 AM. 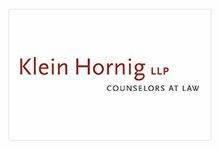 Thank you to our sponsor Klein Hornig! Finding the right energy upgrades for your building can be a challenge. Funding them can be an even larger challenge. However, done right, a smart solar or efficiency project can actually provide a new source of capital to help fund other building improvements and fill capital gaps to help see building improvement projects over the finish line. 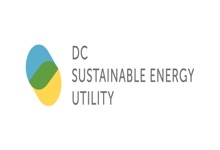 If you are trying meet capital replacement needs and upgrade your property, please join us for “Keeping PACE: Guidance and Financing for Energy Efficiency in Affordable Housing” on April 18, 2017 from 10:00 AM – 1:00 PM at DC Sustainable Energy Utility (DCSEU), 80 M Street SE, #310, Washington, DC 20003. In this training, DCSEU will present resources for identifying energy saving opportunities in your developments. While, Urban Ingenuity will provide an overview of how the Department of Energy and Environment’s (DOEE) Property Assessed Clean Energy financing program can use savings on utility bills to create a more valuable property. Lunch will be served. 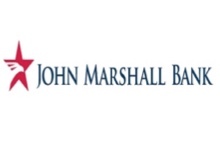 Thank you to our sponsors DCSEU & John Marshall Bank! Lunch will be served. 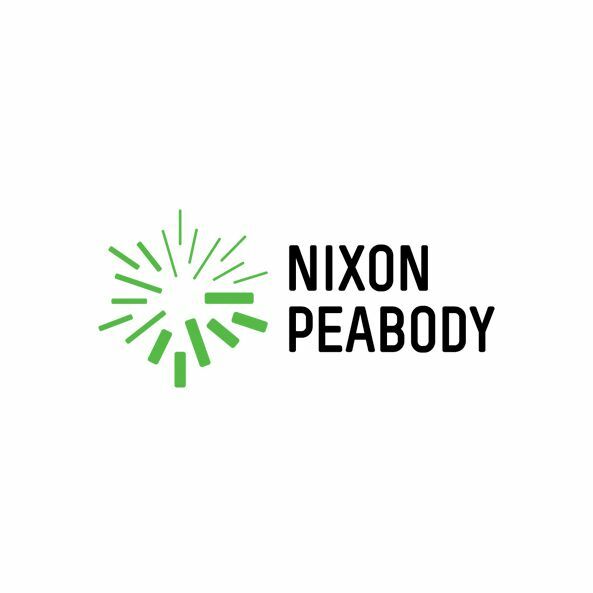 Thank you to our sponsor Nixon Peabody LLP! Other speakers to be confirmed. Lunch will be served. Thank you to our sponsor DC Housing Finance Agency! Two years ago, HAND launched Generation HAND, an initiative designed to exclusively support practitioners who are on the rise within the affordable housing and community development industry. The goal of this initiative is to provide needed tools and guidance to our “emerging leaders” as they pursue successful careers in the public and private sector. Through a wide variety of dialogues, panel discussions, volunteer events, and professional development activities, we strive to embolden the individuals who will be doing the hard work of creating and preserving affordable housing in our communities. Lunch will be served. 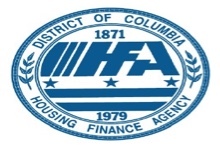 Thank you to our sponsor DC Housing Finance Agency! Elin Zurbrigg, Mi Casa, Inc. Lunch will be served. Thank you to our sponsor Dantes Partners! With attendance climbing each year, HAND’s Annual Meeting & Housing Expo is the largest convening of affordable housing and community development practitioners in the Washington, DC metropolitan region. As our localities evolve and transform, one common thread remains – we must continue to seek positive outcomes for all by creating and preserving affordable housing anchored in equitable communities. We encourage you to join us as we explore this year’s conference theme “Beyond Gentrification, Toward Equitable Communities” for an exciting day of learning and networking! The morning will kick off with the highly anticipated plenary presented by HAND & the Housing Leaders Group, “Gentrification in Washington and the Surrounding Region: Causes, Consequences, and Equitable Growth Strategies.” This session will feature a dynamic presentation and conversation with industry leaders from across the region. 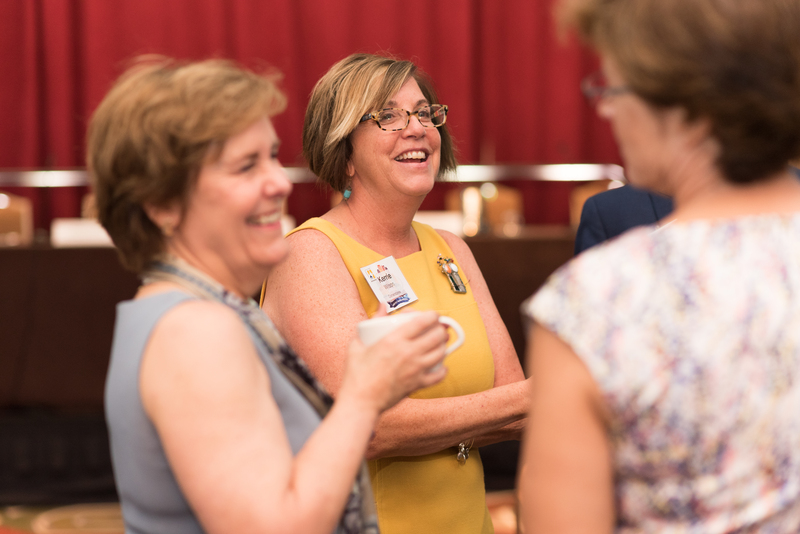 Additionally, this year’s Housing Expo will include its first ever Networking Power Hour hosted by Generation HAND, and the conference will close with its signature Awards Luncheon. The luncheon will not only include the presentation of the Housing Achievement Awards and Children’s Art Contest, but also an Exclusive Fireside Chat with five of the region’s premier affordable housing thought leaders. Click here to learn more!